There is an old saying that ‘you get what you pay for’ and when you’re looking for the best deal when selling a house, then a discount fee can sometimes lead to a discounted service. 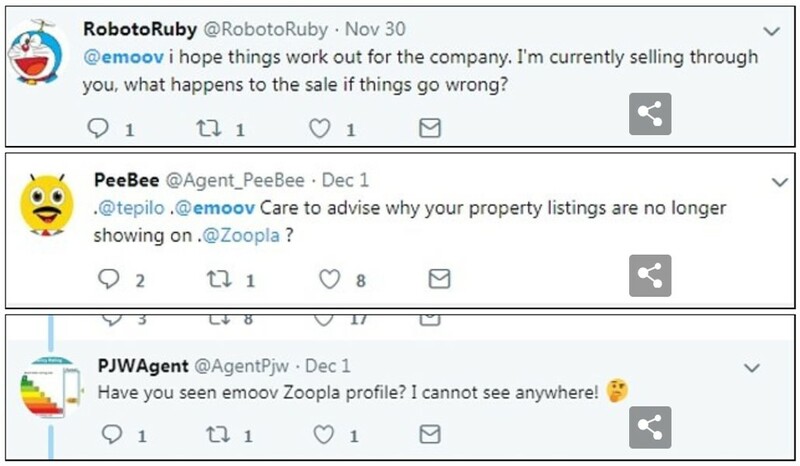 This hasn’t been the best week for the discounted online only estate agents, it seems the second largest online agent Emoove are in financial trouble and are looking for a buyer. From the first introduction of the online only agent, and the buzz they generated with their seemingly cheaper deal for the consumer. Generally with an up front fee, it seems the online only model may not be working in the way it was intended, and hasn’t taken the gains in market share which where anticipated. One of the most well known of the online agents, Purple Bricks has seen its share price drop over 60% in the last six months, whilst increasing its up front fees for its clients. 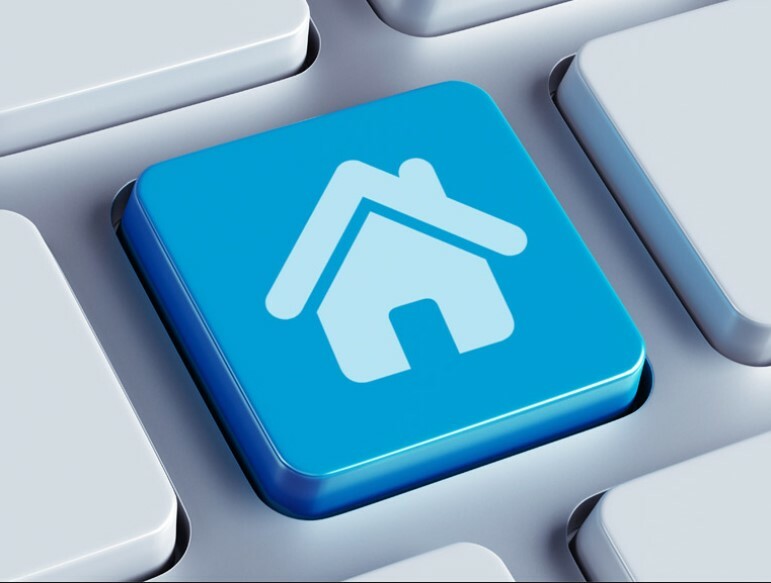 An independent property research group The Advisory, have carried out a report, which throws up some interesting results for a comparison of how the online only model works compared to the high street agent. While the online only model may seem like the cheapest option for the seller to achieve the lowest fees for the sale. It appears the one thing they can’t account for is the added value the high street estate agent brings to the sale. Averaging a 5% higher priced sale than the online only agents. 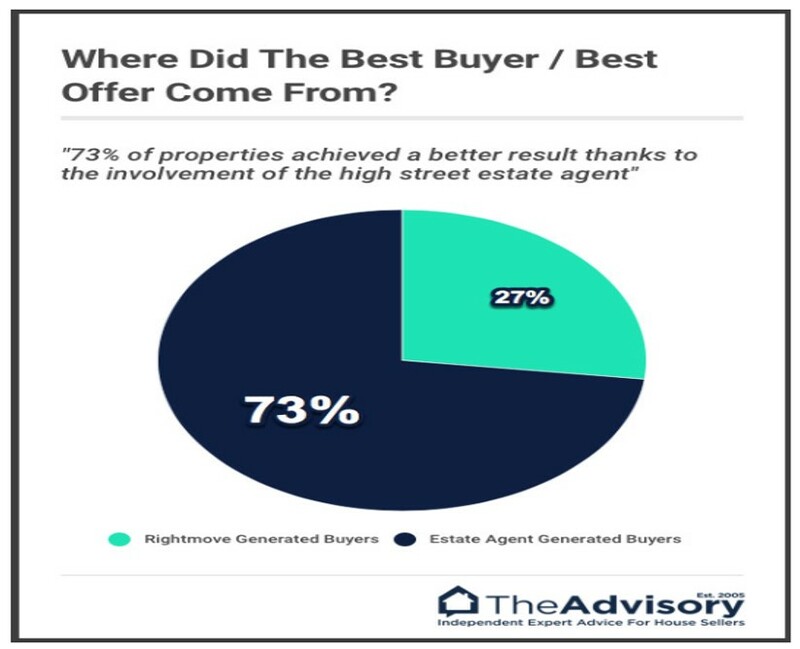 The key takeaways being without the assistance of a high street agent, 73% of the homes used in the study, would not have sold, remained on the market longer or would have needed the price to drop to achieve the sale. And 5% may not sound like the biggest margin to lose on a sale, but when you put that into figures it looks a different picture. So if you hear someone tell you they achieved a quick sale from an online only agent, then you should be thinking about how much profit they have lost from not using a good high street agent who would have gotten a better price. There is one main point that the online portals fail to grasp, and that is selling a property is highly emotional commitment. And people need assistance and the human touch to achieve their sale. Putting a house for sale online only and waiting for bookings via Rightmove is a limited strategy. The importance of a personal relationship with your agent cannot be understated, whether it’s advice on how to best prepare the house for the best sale. Having someone to talk to for reassurance during the sales process, and being that important link between the seller and the buyer when it comes to sales and negotiation of the price. Having the knowledge of the local area and amenities can be hugely influential when it comes to negotiating the best price. A properly trained estate agent is used to negotiation and the sales process, this is something that is built up over years of experience dealing with multiple sales. As opposed to a homeowner who has no experience in this field. And may be more prone to accepting a lower price for their property. Where the online estate agents stole a march is in their use of technology, allowing for ease of access for viewing properties online and booking viewings from the ease of their own home in the evenings after work. This particularly appeals to the younger more computer savvy searcher, who are more prone to doing things via laptops or mobile phones. But to have a complete service for the seller it appears being an online only agent is not enough. In the case of Emoove it appears sellers who signed up and paid their up front fee of £895 might not see their money again if the company goes into administration. It would seem the best way forward for the high street agent is to embrace the online strategies as a hybrid way to give the very best services to sellers. So not only can you have the personal touch that comes with the high street, but also the online functionality to be able to view properties online and book viewings at a time that suits them, from the convenience of the setee. And when it comes to getting the best price for your property, then you have the negotiation skills of an experienced estate agent to make sure you get the best deal for you. The moral of the story here is a quick sale is not always the best sale, especially when you take into account the amount of money you could be losing from the sale. And the professional help and reassurance you get with a high street agent goes a long way to getting a better price for you. Plus, it takes away the hassle of doing viewings yourself when you may not be comfortable being involved in sales and negotiation. 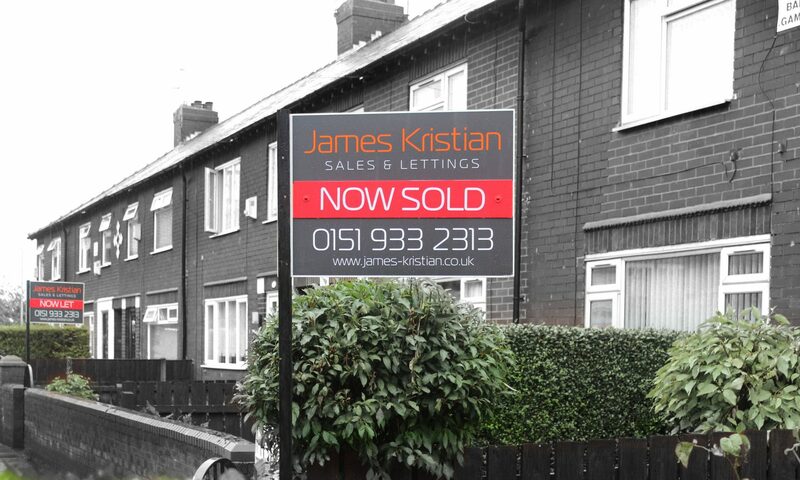 At James Kristian we pride ourselves in being an estate agent that embraces both the personalised high street approach, and the convenience of the online culture. You can view any of our properties for sale online, and book viewings via our website from the convenience of your own home. We then follow up our online capabilities with our years of personalised service. This helps ups to achieve the best service and price for all parties concerned, with a bespoke service for you. You don’t want to be leaving money on the table when it comes to a sale, we have plenty of experience with houses for sale in Bootle and all the surrounding areas. So if you are thinking about selling a property why not contact us, either give us a call, drop in and see us, or contact us via our website. One of our experienced friendly estate agents is on hand to deliver you the best price for your property. Next PostNext Selling The House This Winter? Here are some tips for a quick sale.